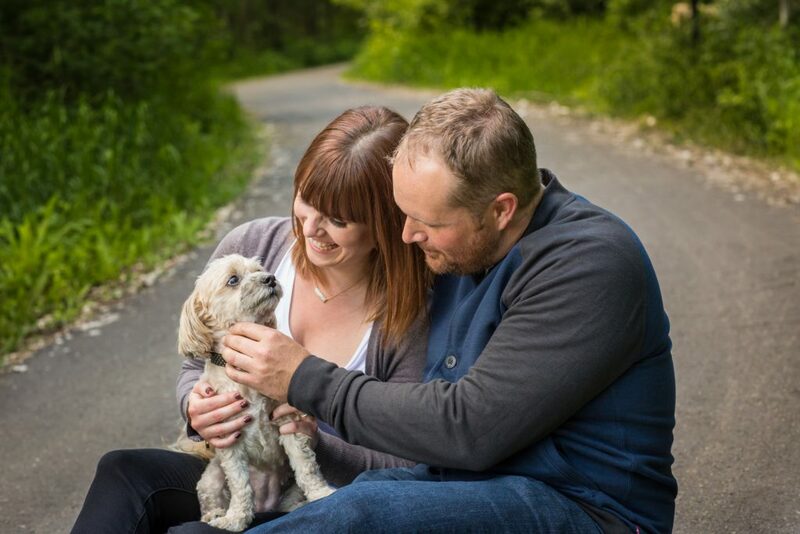 Jamie and Jeff brought their adorable pup, Ellie along for their Wetaskiwin engagement Photos. 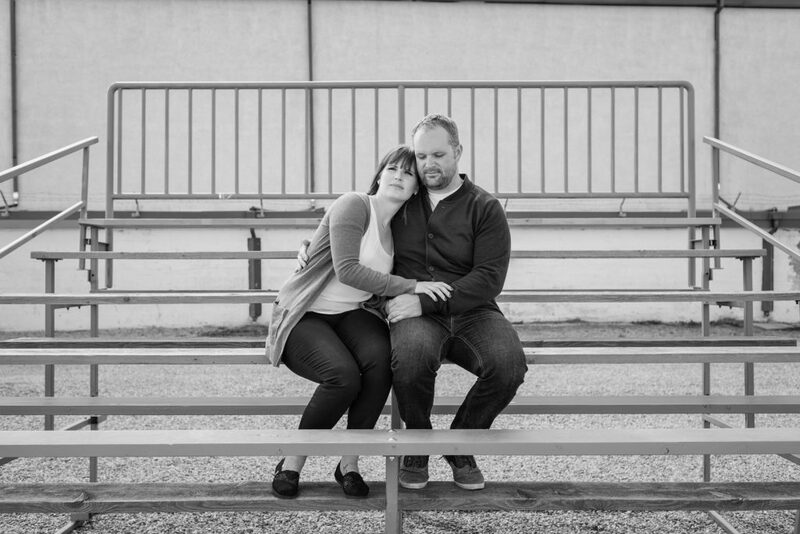 It was a stroll down memory lane for these two high school sweethearts. It was back in 2003 that Jamie and Jeff, just high school kids at the time, started dating. 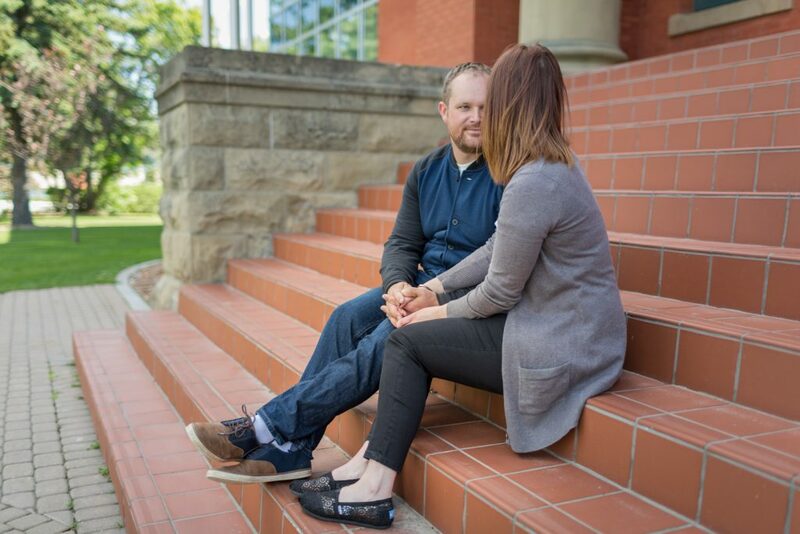 Little did they know that fourteen years later they would be back in their old high school for their very unique Wetaskiwin engagement photos. 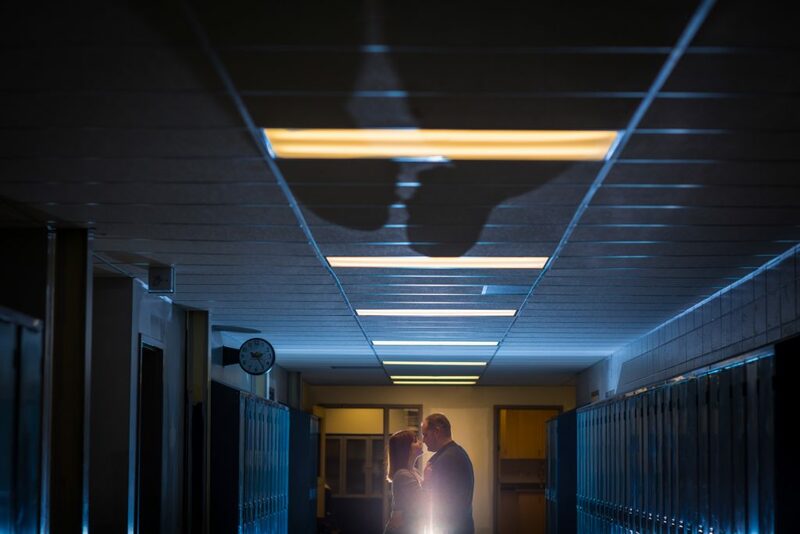 A big thank you to the staff of Wetaskiwin Composite High School who gave us permission to take a few portraits in the halls where these two fell in love. 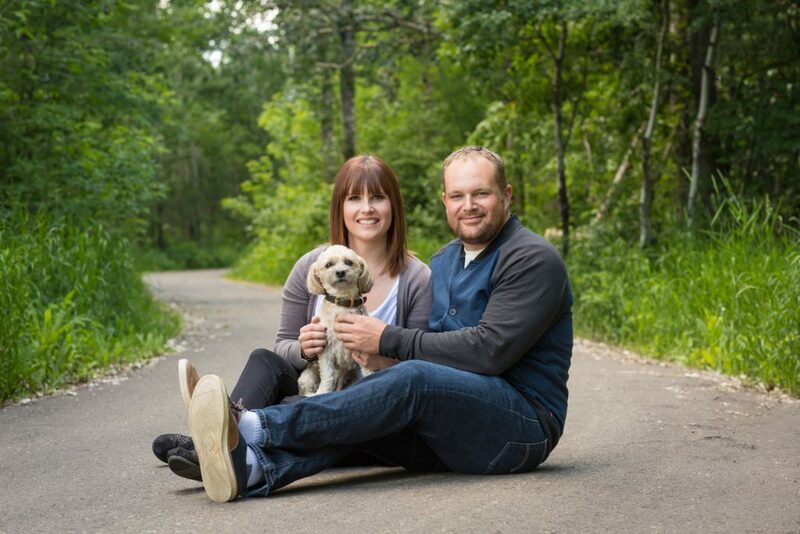 After high school Jamie and Jeff set down their own roots in the community and still call Wetaskiwin their home. This city is more than just a place they live, it is part of their spirit and their history together. 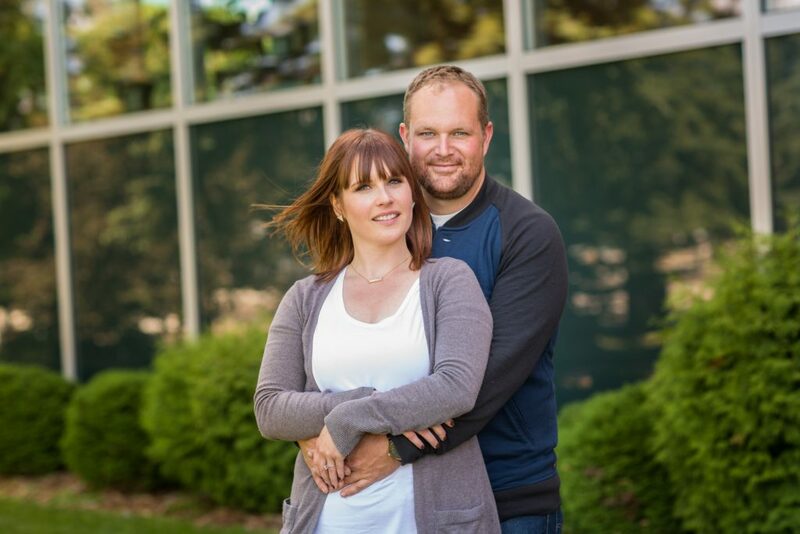 It was important for Jamie and Jeff to have their engagement photos done in a place that means so much to them. 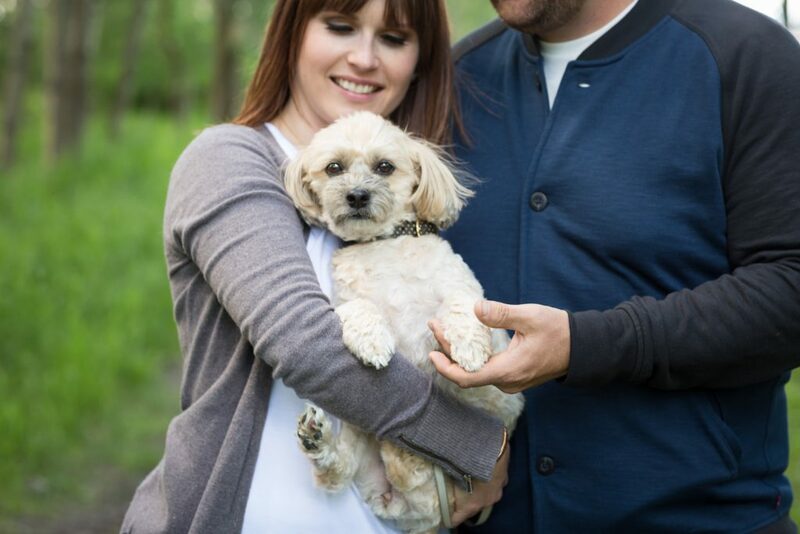 Also, to include the third member of their family, a darling little pup named Ellie. It turns out that Big Lake Park, one of the most beautiful locations in Wetaskiwin is Ellie’s favourite place. This nature preserve is full of towering trees and a pathway that winds its way around the lake. 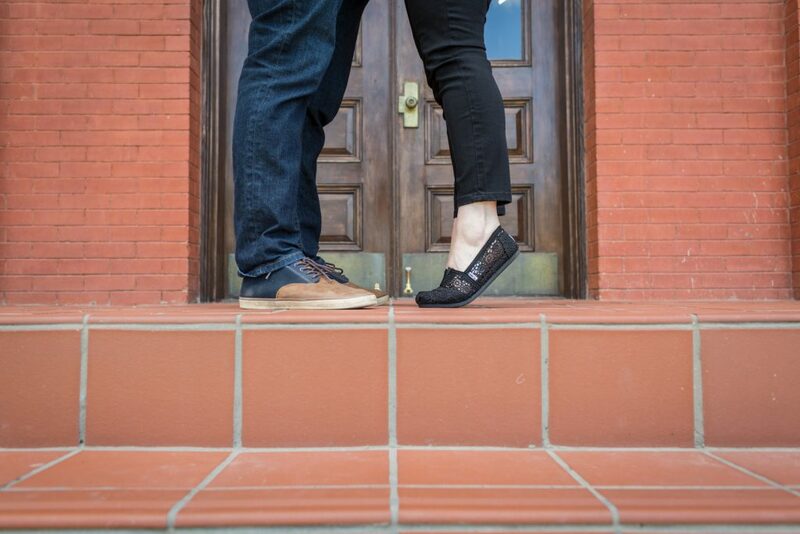 It was an awesome afternoon of adorable engagement photos. 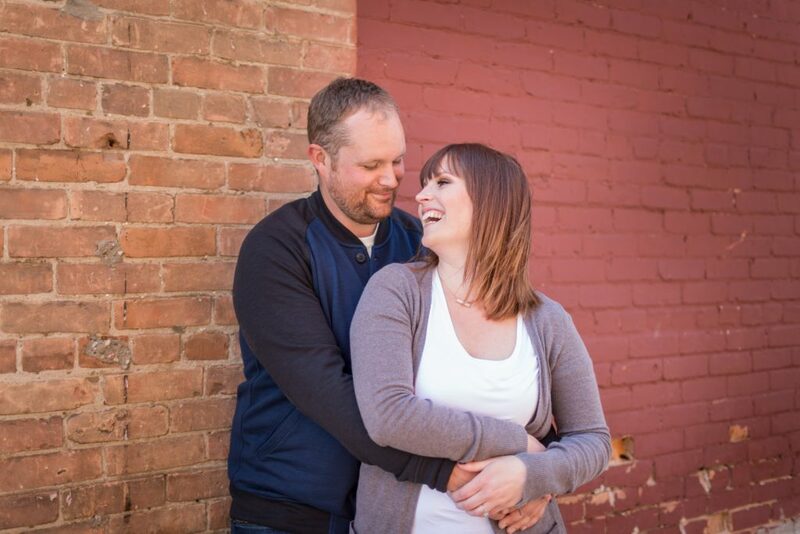 We loved getting to know Jamie, Jeff and Ellie and we cannot wait for your autumn wedding! 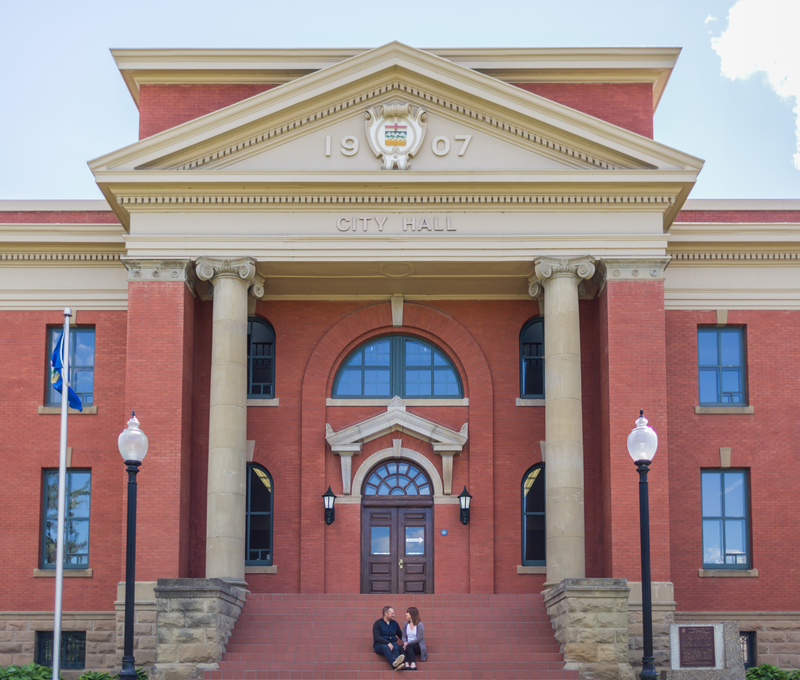 Thank you for inviting Deep Blue Photography to capture your sweet Wetaskiwin engagement photos.